A few months ago Namco Bandai's Tales of team announced that a new Tales of game was in the works. Although they did not go into the detail, they did state that it would be for 7th generation hardware. Nothing else was said, but a few weeks later trademarks were registered which hinted at what the next one would be called. Well, after a few month wait, Namco Bandai has finally made an official announcement. 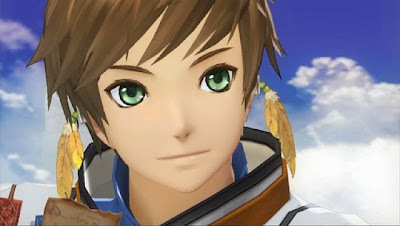 The next entry in the Tales of series will be called "Tales of Zestiria" (which was one of the registered trademarks), and it will be PlayStation 3 exclusive. Other than that, not much else is known about the game. We know that it will be in full 3D, it will have a wide verity of areas to explore, it will have a large focus on dragons, it will be more fantasy based, and a it will be released in the west; however, Namco Bandai has not released any "true" story or gameplay information. We do not know anything about the characters, what sort of adventure they will be involved in, and the information concerning the new battle system has been kept quiet as well. More news is sure to come in the near future, but in the mean time, all we can do is wait.